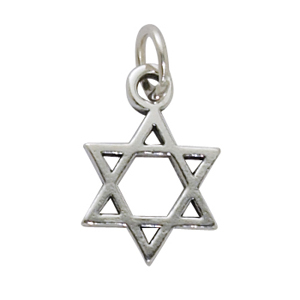 Sterling Silver Star of David Charm. Measures approximately 12mm x 18mm. Jump ring is open.